Join us for our Legislative Breakfast on March 19, 2018 at the Foltz Community Center, 224 N. Wood St., East Canton, Ohio. Our Legislative Breakfast gives our members a chance to hear an update from our local officials and ask them questions about County, State, and National issues. 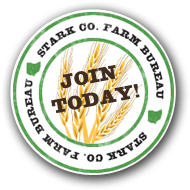 YOU MUST BE A FARM BUREAU MEMBER TO ATTEND! This event is FREE and for Farm Bureau members only! If you would like to attend and bring other Farm Bureau members, please call us to RSVP by March 14, 2018 at 1-800-654-5158 or 330-456-4889.